In the PlayStation 3 exclusive Killzone 2, players take the fight to the red-eyed Helghast, invading their barren home planet of Helghan to try and capture the warmongering leader Emperor Scolar Visari. It is, on its surface, a big ball of science fiction and video game cliches, but what first-person shooter isn't? What matters here isn't whether Killzone 2 tells a compelling story, but whether it delivers on nearly four years of promises. Four years of expectations stoked by glimpses of incredible graphics, deep gameplay and barely mentioned multiplayer. Can Killzone 2 live up to its unspoken promise and deliver a game that not only sells, but sells systems? Graphics: Graphically, this is one of the most impressive games I've played to date. Every scene, every moment of Killzone 2 is teeming with detail and nuance, from the drift of smoke, to discarded shells, to the flecks of concrete that pop off when you shoot a wall. And it's not about just the intricately detailed scenery, it's also about the artistic flair of Helghast's design. The lighting, the architecture, the landscapes all do a masterful job of capturing the oppressive ambiance of the game's undertones. Entrancing Set Pieces: The experience of playing Killzone 2 ping-pongs between the ordinary and the sublime. There were moments when I paused in mid-play to take in what was happening around me. I wasn't just playing out a predetermined role, triggering events by pushing forward, I was engrossed in a battle—bullets zipping by, friends and foe falling on either side. The intensity, the mayhem of war, perfectly captured. It is at those moments that Killzone 2 is fully realized, when it delivers not a single-player experience, but an experience that despite its solitary nature, makes you are part of something larger. You aren't the hero in this game, you're one of the grunts and it's just as likely that any one of you will die. Level Design: The levels almost all take place in dark locations with muddled, mild colors. But despite the outward sameness of some of their design, they offer an eclectic range of challenges for experienced gamers. Instead of having players charge across a rolling battlefield, working to get from one end to the other, Guerrilla Games made sure to keep players on their toes through skilled level design. Story: Killzone 2 isn't a game you buy for its plot, so I was surprised to find myself enjoying the relatively light touch of a well-written story sketched across the game's campaign. When the end does finally come, it delivers a subtle look at the complexity of morality in war, without getting too heavy-handed. Pacing: Killzone 2 is a tightly-paced shooter that walks gamers through an eclectic mix of levels in an experience that comes in at just under eight hours. But it's also another one of those games that, because of its relatively short length and its perfect pacing, can feel more like a movie or a book than a game. Multiplayer Experience: As much as I enjoyed Killzone 2's campaign, it pales in comparison to the multiplayer experience. The game's 32-player matches includes seven classes, each with two unlockable abilities, five modes and support for four 4-player squads in a team. You also get clan support and the ability to replay your battles in a top-down 2D map on the official website battle replays. It's quickly become my favorite online game. Multiplayer Map Design: The game's included eight multiplayer maps are some of the best I've played. Not only do they sprawl both horizontally and vertically, but they are packed with clutter, buildings, wreckage, all of which you can climb up and through. The myriad of hiding spots and routes adds a much welcome level of depth to game sessions. Load Screen Hiccups: It's certainly no deal breaker, really more of an annoyance, but the game tends stick for just a second or so whenever it hits a loading spot. The longest I noticed lasted about three seconds. Extremely Long Unlocks: I love, absolutely love the multiplayer gaming, and I'm OK with earning unlocks in a shooter, but Killzone 2's unlock system may turn off those who want to dabble and not grind. To unlock your first new weapons, you start with two main to choose from, you have to rank up to Sergeant 1st Class by earning 200 points. To unlock the first new class you have to earn a total of 350. To unlock the scout you need to earn 2,800 points and then to unlock their second ability you need to kill quite a few people while cloaked. It's easy when playing a game in an over-saturated genre, like first-person shooters, to judge the title not by what it is, but by what it isn't. Too often, games concentrate more on separating themselves from the pack then on delivering a solid experience. But Killzone 2 avoids that trap, ignoring the temptation of gimmick and instead wading into the thick of things and proving that you don't have to be unique to deliver an engaging experience. Despite its minor shortcomings, Killzone 2 is a must-have for any owner of a PlayStation 3. It shows what the system can do and delivers a multiplayer experience rarely seen on the system. The single-player campaign is short, but enjoyable, and from my time with multiplayer, it's a game I'll be playing for quite a while. 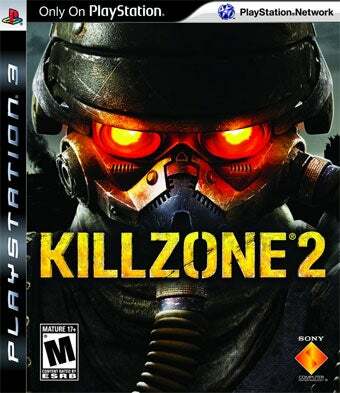 Killzone 2 was developed by Guerrilla Games and published by Sony Computer Entertainment for the PlayStation 3. It was released on Feb. 27 for $59.99. Played single player campaign to completion, played multiple battles on the PlayStation Network against other players.